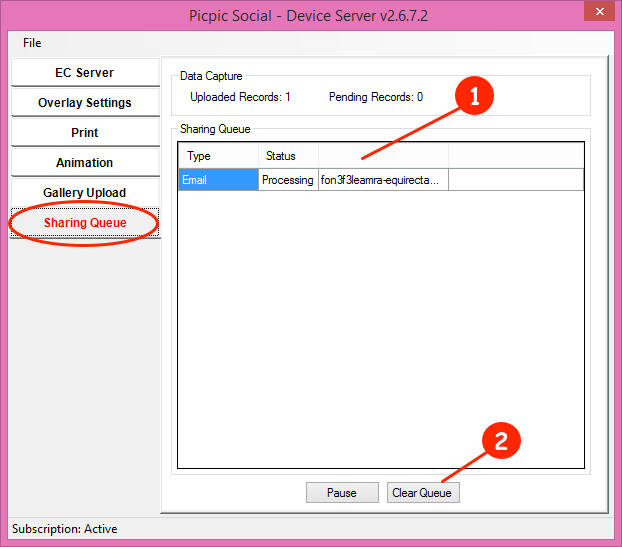 Check the SHARING QUEUE tab on the device server. If the button at the bottom says START SENDING you need to click it in order to send any files that are pending. If you have a full queue with errors, your speeds might be too slow to process the shares. Go to speedtest.net and run a speed test. You need upload speeds of 4Mbps in order for files to leave the sharing queue. If you do not have these speeds, you will need to try another source of internet. 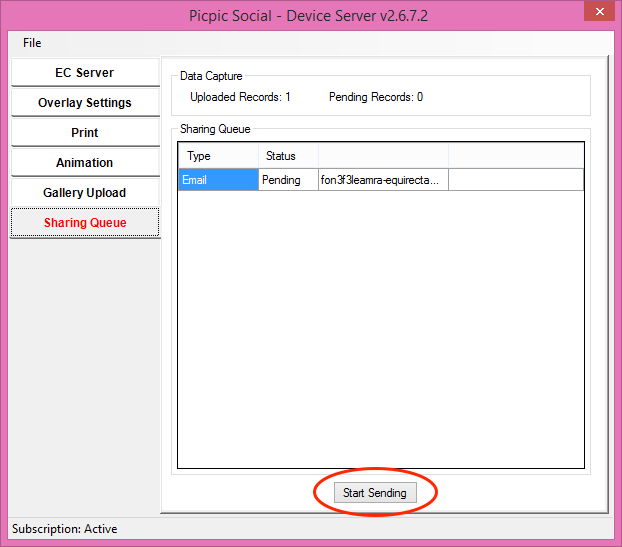 You can close PicPic Social and open it again when you get to your home or office. The queue will remain in tact and will send your files if the speeds there are better. Change this and save your event and try again. You may need to setup Twilio Global Permissions if you are trying to send texts to numbers outside of your country. Go here to edit the permissions. After you edit the permissions let your queue sit for 30 minutes to an hour to push the files out. None of these options worked! If none of these fixes your issues please start a chat. Have your computer ready so we can connect if needed. Also have your log files ready.